As we know you are vocal and community minded, we invite you to support the efforts of local families to bring an enriched public high school to Côte Saint-Luc. Sign the petition and attend the EMSB consultation meeting on Tuesday, December 6 at 6000 Fielding Avenue (corner Côte Saint-Luc Road). The English Montreal School Board is voting on a proposal on January 11, 2012 to relocate Royal Vale High School to the former Wagar building on Parkhaven Avenue. Côte Saint-Luc strongly supports this proposal. 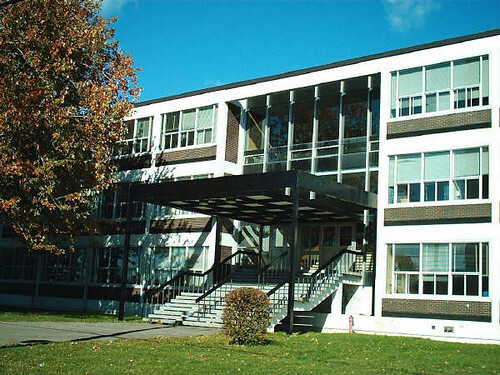 With its large and predominately English-speaking population, Côte Saint-Luc is a natural location for such a school with its enriched math and science classes and French immersion program. As you may have read in the newspaper, some Royal Vale parents oppose the plan. Fortunately, another group of parents and their supporters have emerged and provided a compelling case for how their children will be better served by a new location. It is very important to show our support for these parents. We invite you to sign the online petition and to send an e-mail to the EMSB commissioners explaining that you agree with their proposal. Support the City of Côte Saint-Luc by attending the EMSB consultation meeting on Tuesday, December 6 at 6000 Fielding Avenue (corner Côte Saint-Luc Road). Please be there no later than 7:15 pm as Côte Saint-Luc will be presenting a brief in favour of the proposal at 7:30 pm. The City of Côte Saint-Luc is deeply committed to bringing an English-language mainstream public high school to our city. It is a major priority for us. We will work in close partnership with the EMSB to make it an attractive option for parents in the west end. But it is only through your showing your support by signing the petition and emailing the commissioners that we will succeed. Spread the word by forwarding this e-mail to your neighbours and encourage them to subscribe to our e-newsletter. Again, click here to the link to the petition. The Palatucci facility presently has the equivalent of 785 students. 535 from the Marymount Adult Centre including 5 classes of handicapped adults will be displaced in order for Royal Vale to move in. The parents of John Grant students (equivalent of 250 students) are against Royal Vale moving in since some of their space has already been identified to be taken over. The EMSB documents which the long range planning committee used to make these recommendations incorrectly listed John Grant as using 10 classrooms where the actual number is 24. When Wagar left in 2005, John Grant expanded to the third floor. Please be aware of both sides before blindly supporting the move. Remember, this building is presently used by a population that will be displaced. That is unfair in my opinion. My son with special needs is a cote saint luc citizen as well.